verb (used with object), renovated, renovating. to restore to good condition; make new or as if new again; repair. Renovating a house is a lot of work and time. This past week, I've felt overwhelmed by all there is to do. I have a thousand things I want to do in a day and never enough time. Especially with three little girls needing my time. And when the end of the day comes, I'm finding that I haven't had time with the Lord like I wish. Do not be conformed to this world, but be transformed by the renewal of your mind, that by testing you may discern what is the will of God, what is good and acceptable and perfect. (Romans 12:2). I feel so thankful that the Lord has allowed us this opportunity to renovate this house... to both make it our own and also to improve the value. But I know that he still wants me to seek him first. I don't think it's any coincidence that I am reading the story of Solomon in my Bible (in 1 Kings) right now. Solomon was full of wisdom and was considered a good king, by both men and God. But do you know what? He still cared a lot about worldly things. He built the temple of the Lord. The temple where the Lord actually dwelt with his people. That's a big deal. God entrusted him with an important task. And he did it well. He spent seven years on it, and he completed it as the Lord requested, and it was beautiful. But he also built his own house. He spent longer on it (thirteen years). He made it bigger. He made it better. What temple am I more concerned about? The one I dwell in or the one the Lord dwells in? The one I dwell in is the lumber and shingles that currently cover me, by the Lord's goodness. The one the Lord dwells in is my heart. My soul (1 Corinthians 3:16). Which do I give more thought and loyalty and love to? As Solomon grew old, his wives turned his heart after other gods, and his heart was not fully devoted to the LORD his God, as the heart of David his father had been. And the kingdom divided. The entire kingdom was affected by Solomon's choices. Oh, Lord. I can be so fickle. My heart so easily longs for things that do not last. Things which moth and rust will destroy. 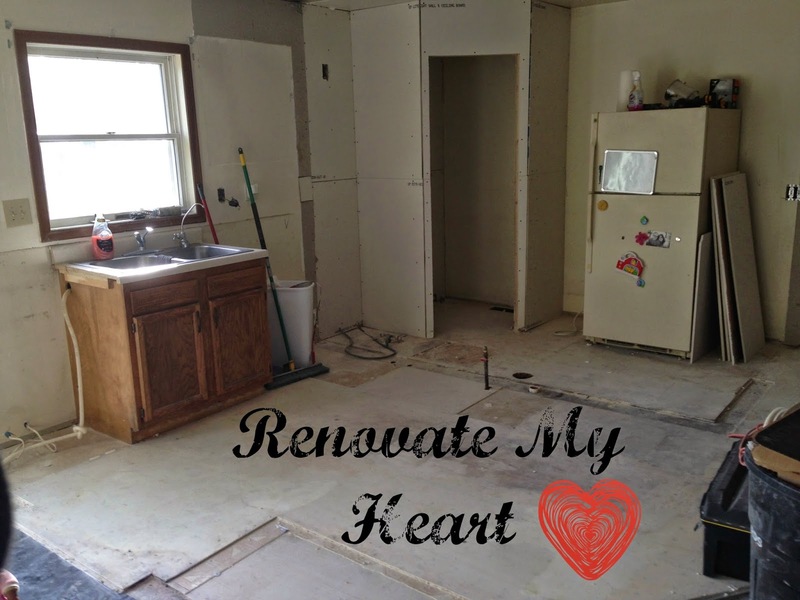 Renovate my heart, Lord. I love this house, and I'm thankful for this house, and I believe you have great things in store for this house. But my heart and my soul are eternal, and this house is temporary, so I pray that you will help me to desire the renovation of my heart over the renovation of my house. I love what we can learn from the Old Testament! It's easy to get caught up in house renovations and the beauty of it (I did more than I thought I did, looking back), but if you keep your focus on Him through it all, and remember it's all just stuff, then He will be glorified. I'd venture to say He already has been.